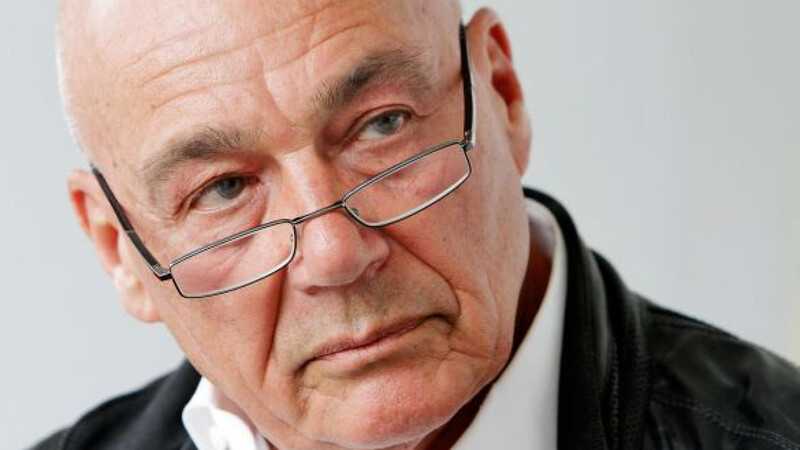 In a recent episode of his popular talk show, Pozner said there aren't “fair courts” in the country and cited the case of activist Leonid Razzvozhayev. A State Duma deputy has called on veteran television journalist Vladimir Pozner to apologize for saying on national television that Russian courts are unfair and that the prosecution of an opposition activist is being carried out KGB-style. "I think Vladimir Pozner should either substantiate his claims about Russian courts and the Investigative Committee or apologize, or leave Channel One," United Russia's Ilya Kostunov wrote in a brief statement posted on his VKontakte page on Wednesday morning. In Sunday's episode of his popular talk show, Pozner accused the Investigative Committee of resorting to KGB-style tactics to prosecute leftist activist Leonid Razzvozhayev, who claims that he was kidnapped last month and forced to confess to plotting riots. "There are hundreds of thousands, if not millions, of similar handwritten confessions in the KGB's archives, and we all know how they were procured," Pozner said in his closing monologue. He also suggested that an Irkutsk woman convicted of fatally striking a pedestrian with her car in 2009 received a lenient sentence because she is the daughter of the region's top elections official. "There aren't any fair courts in the country," Pozner said. Kostunov, a first-term deputy and former commissar with the pro-Kremlin Nashi youth movement, told Izvestia that he'd sent a written complaint to Channel One boss Konstantin Ernst. A spokesperson for the station said a letter had yet to arrive, Interfax reported Wednesday. Perhaps indicative of Channel One's position, Pozner's monologue was not cut from later broadcasts of the program, he told BFM.ru. In his consternation, Kostunov was joined by ruling party heavyweight Alexander Zheleznyak, who told Izvestia that the comparison to KGB tactics was "incorrect" and brushed off Razzvozhayev's claim that he had been psychologically pressured. Kostunov has cheered on the Kremlin's clampdown on critics in recent months. He has said "unqualified criticism" of judges should be criminalized and foreign-financed media outlets treated as foreign agents. Asked for commentary, Pozner, a rare critical voice on state-controlled television, quoted a poem by Alexander Pushkin: "Obey thy god, o muse, / Fear not slander, nor demand laurels, / Be unmoved by praise and abuse, / And do not argue with a fool," Izvestia reported.